Introducing the most intricate twinkle string light ever: SoftTwinkle. Unlike regular twinkling Christmas lights, SoftTwinkle lights pulse off and on slowly and gently, creating an elegant yet exciting display that looks amazing indoors or outdoors. Show your excitement for the holidays with warm white lights or combine with red for a fun and festive candy cane look. 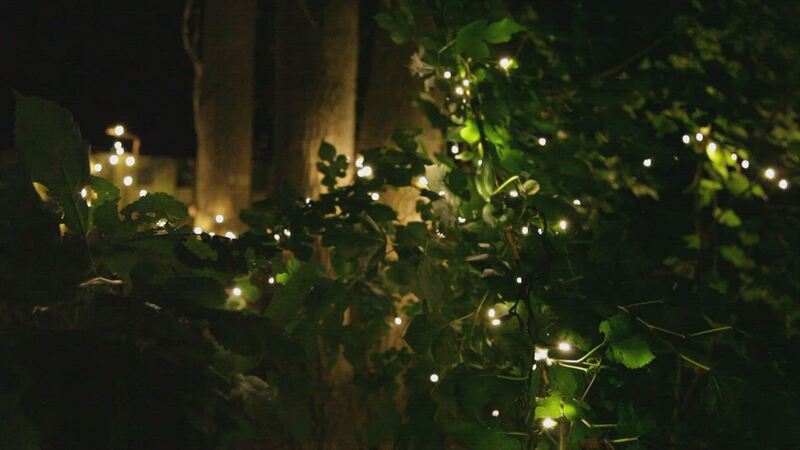 Even add elegance to other holidays such as New Year's, 4th of July, and weddings with soft fade holiday lights! These are the lights you want for wrapping indoor and outdoor trees, wreaths and garland. 50 Warm White SoftTwinkle 5mm LED lights spaced 4" apart on green wire, 17.0' total length. Perfect for the artificial topiary trees at my front door. Love the soft twinkle effect! Great service and shipped in perfect condition, too! Love the twinkle lights! Decorated an outdoor Christmas tree. We used red bows and red birds with them. Beautiful! Neighbors and passersby are enjoying them. The lights are really good. I've been looking for random twinkle incandescent lights for a long time. The only ones I could find are LED ones so I thought I would give these a try. They are definitely brighter than my other incandescent lights, but they look just fine when they are mixed in with everything else on the tree. The slow twinkle is just so pretty and really dresses up my Christmas tree. I already mentioned these to my son and he has also purchased some. Love the look of my tree. I'm very happy with these lights. All lights are working perfectly!